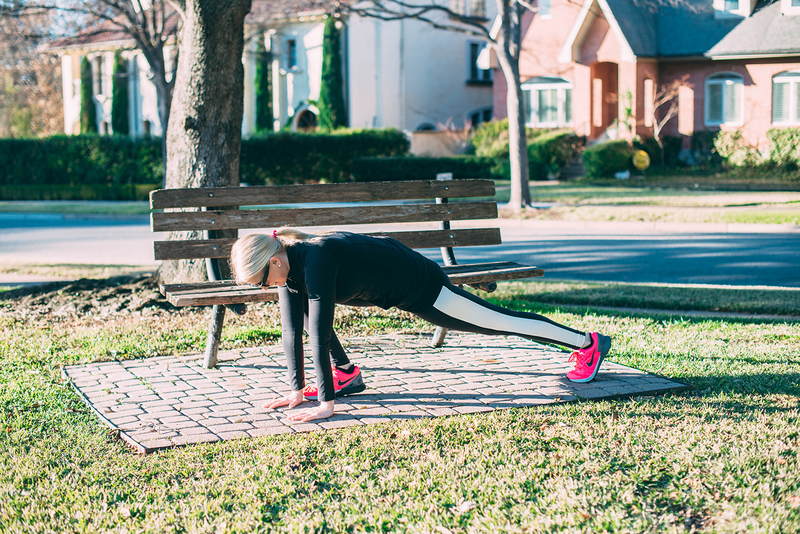 Looking to add a little feminine flair to your fitness getup? Look no further than Kate Spade New York’s collaboration with Beyond Yoga. As someone who works out nearly every day, having comfortable and cute activewear is very important to me. 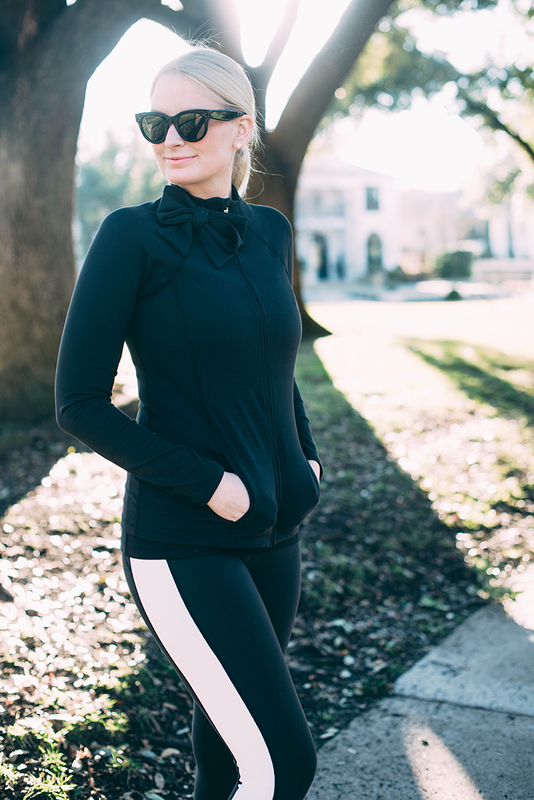 I always run into people I know in PureBarre or on the Katy Trail, so wearing pieces like these fun tuxedo leggings or this bow-adorned jacket keeps me looking chic and feeling confident (even if I’m sweating my brains out). 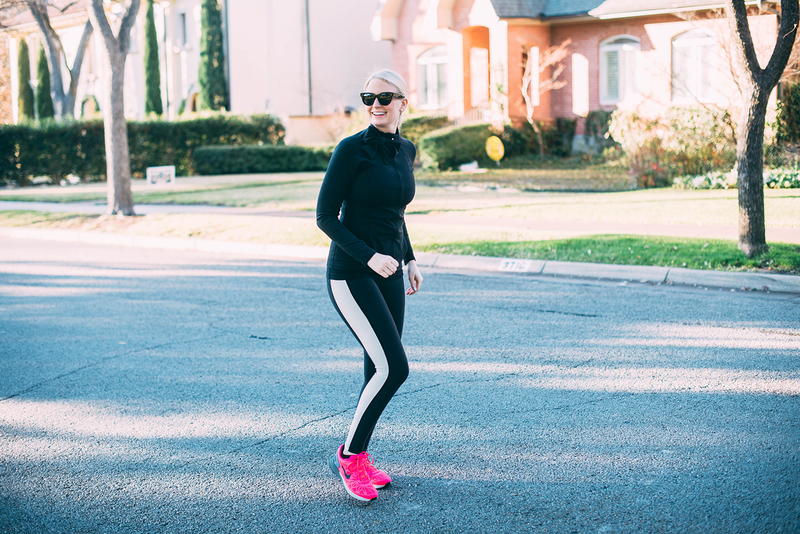 The pieces are so soft and pliable, perfect for any workout routine – I’ve worn these to my new TREAD classes in Dallas (LOTS of sprinting), to PureBarre (bending in lots of crazy positions) and to circuit training at CoreFusion Extreme. They’re also just a great upgrade to your errands attire, don’t you think? A few more pieces I’m hoping to add to exercise drawer include this halter bow cami to match my leggings, this striped tank, and the striped version of my bow-neck jacket. So adorable! This is so cute! Love the jacket. Also the pants are super chic! I can’t get over this! Now I just need them to come out with some glittered exercise shoes! Oh my gosh, CUTE! I love Kate Spade and that bow top is adorable. I definitely need to add a little glam to my workout wardrobe and that might be it! 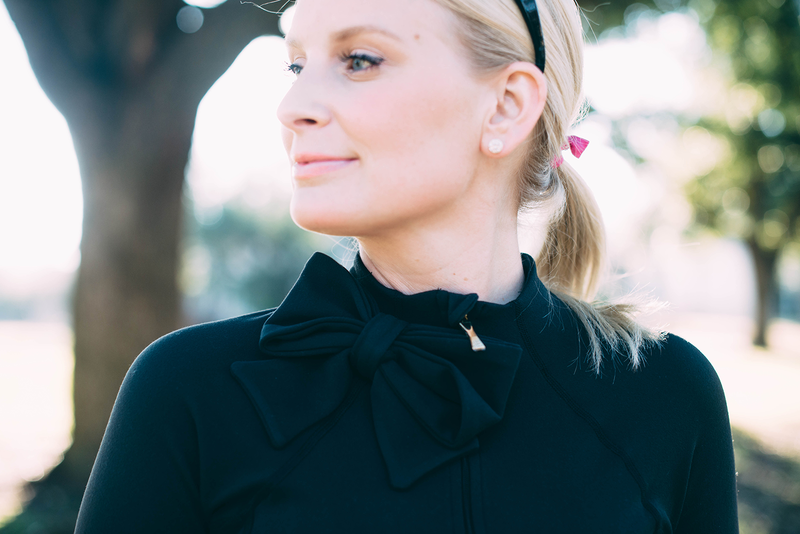 The bow neck jacket has to be the cutest piece of workout gear I have EVER seen! I love cute activewear. It makes me want to work out more! These pants are cute and I love that jacket! STOP! Cutest workout top EVER! Love Beyond Yoga! The bow on that jacket is too cute! Love the jacket. The bow makes it stand out from other activewear. 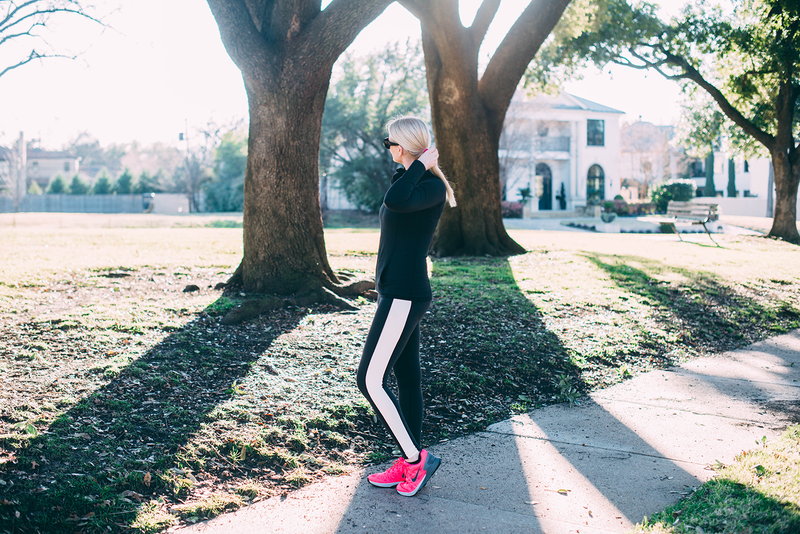 So happy that Kate Spade is making workout clothes! These photos are so pretty, such great light! 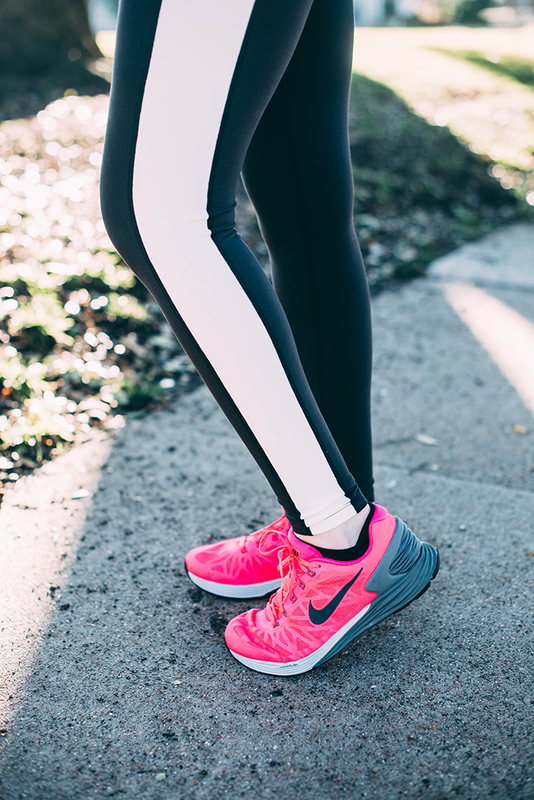 Love the leggings :) Great post! This is so cute! I love the bow detail. Beyond Yoga is SO well made! What lovely workout gear. Love the bow on the jacket! So cute!! I love that they made workout clothes super feminine, you look great!!! Stunning photos!! Great workout look!! I just ordered some of these work out clothes! can’t wait to get them now! very cute!